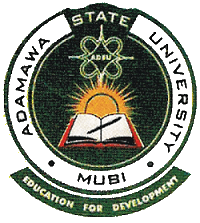 Adamawa State University (ADSU), Mubi resumption date for completion of 2018/2019 academic session has been announced. This is coming after ASUU suspended the strike it embarked upon last year. All students, members of the University community and the general public are should take note of this development. According to the revised academic calendar for the rest of second semester, 2017/2018 academic session released by the management, students are to resume on Monday 18th March, 2019 for continuation of academic activities. 18th March, 2019 – 24th March 2019 has been allotted for revision, while the examinations for the semester will commence on 25th March, 2019 and end on 13th April, 2019. Accordingly, newly admitted students will resume for the 2018/2019 academic session on 14th April, 2019. ALSO SEE: Full ADSU Academic Calendar for 2018/2019 Session.